A thorough and comprehensive history and evaluation is performed for each patient. Focusing on the human structure, diet and nutrition, organ function, exercise and activity level, activities of daily living, stress factors and even the way you think allows the chiropractor to determine where there are imbalances and interferences preventing you from feeling and living your personal best. A complete wellness visit utilizes a combination of all adjustment and soft tissue manipulation along with doctoral consultation. Wellness may include Chiropractic adjustment, specialized soft tissue care, diet and nutrition consultation, corrective exercise, and stress management. We provide advanced spinal correction and chiropractic adjustments utilizing a variety of chiropractic techniques to suit your individual needs and sensitivities. Never in the history of chiropractic care have chiropractors been able to provide the level of help and expertise that is available today. Many of the newest chiropractic techniques are actually safer, more comfortable and more effective than ever before. As a chiropractor who cares about utilizing the most advanced and effective techniques, Dr. Holmes has expertise and experience in treating a variety of concerns for the whole family. Chiropractic care under a trained professional can also be used to prevent injuries and help you achieve total health or wellness. Primary Techniques Practiced: Diversified, Sacro-Occipital Technique, Logan Basic, Webster (for pregnancy care), Gonstead, Activator, and Chiropractic Pediatrics. Dysfunction of our soft tissues can present with a variety of pain problems, restrictions, immobility, (in)stability, and generalized decrease in vitality. Issues such as scar tissue formation from injuries and surgeries, trigger point presence from physical, mental and chemical stress, inflammation from dietary intolerances or deficiencies, overuse/underuse injuries from work, hobbies or poor biomechanics during everyday activities, adhesions, sympathetic stress response factors can all affect our muscles, fascia, ligaments and tendons. Identification and release of these factors can dramatically increase overall wellbeing. Primary Soft Tissue Techniques Practiced: Graston Technique (Instrument Assisted Soft Tissue Release), Neuromuscular Re-education, Active Release Technique, Kinesiotape, Ischemic Compression, and Myofascial Release. Diet consideration always begins with an evaluation of 7 days of food intake, taking into consideration your personal needs of both macro and micronutrients and lifestyle. Focus is primarily on consuming whole foods and avoiding processed foods that provide little nutrient value and filling in the gaps or treating specific needs with whole food supplementation. Assessing current levels of fitness, biomechanics, posture, ergonomics and repetitive activities of daily living gives the chiropractor a unique perspective on what may be ailing you. In modern life, we move less than ever before and engage in activities that create repetitive strain injuries and spinal imbalances that can lead to painful problems. We can help identify those imbalances, bringing awareness to the patients as well as providing options and corrective exercises to decrease these problems and improve health. Basic Posture and breath correction has been proven to reduce and eliminate a variety of common problems such as neck strain, headaches, mid and low back pain. Stress can originate from 3 sources or any combination of physical, chemical/nutritional, or psychological/emotional factors. Working together to address the causes of stress, we can determine the most effective ways to deal with them. When stress is reduced, most enjoy better sleep, better relationships, improved digestion and an overall brighter view on life. Stress management techniques will be offered such as various meditation/mindfullness techniques, deep breathing exercises, EFT (Emotional Freedom Technique), journaling, exercise and massage. Certain nutrition protocols can also help reduce stress and its’ harmful effects. Doing basic exercises and stretched on a vertical vibration plate helps increase circulation, reduce joint pain, improve lymphatic flow, increase range of motion and mobility, increases healing time, and improves, balance, bone density and energy levels. Also unique to Studio 360! What is it? Hyperbaric oxygen therapy (HBOT) is a medical treatment which enhances the body's natural healing process by inhalation of concentrated oxygen in a total body chamber, where atmospheric pressure is increased and controlled thereby forcing oxygen into capillaries. Benefits include boosts to immune system function, promotes regeneration of injured muscles, promotes cellular vitality and metabolism, decreases swelling and inflammation, helps heal injuries at an increased rate. Reiki is a relaxation, stress reduction and holistic energy healing practice that helps manage health and wellbeing. If the life force energy of our body is blocked or low, we are likely to be stressed, sick, and diseased. If life force energy is high and flowing through us freely, we feel positive, well and healthy. Reiki uses this life force energy to promote relaxation, balance the body's energy, release toxins, reduce physical discomfort, improve confidence and focus, inspire closer relationships and increase mindfulness. Specialized massage myofasical release technique with doctor. Myofascial Release is a safe and very effective hands-on technique that involves applying gentle sustained pressure into the Myofascial connective tissue restrictions to eliminate pain and restore motion. A unique feature of Studio 360. A powerful water jetted bed that provides many of the benefits of hands on massage without all of the hassle. 15 minute sessions, controlled by the user provide tension release, decrease soreness, promotes relaxation and increased circulation. With a childhood dream of becoming a pediatrician when she grew up, Amanda started her biology, Pre-Med Studies at the University of Southern California in 1998. In her sophomore year, she suffered two significant spinal injuries that left her in debilitating pain. After months of treatment with pain medications, muscle relaxers, cortisone injections and no relief in-sight, she began researching "alternative" forms of treatment for her ailments. In desperation, she found that chiropractic may be the answer. In her first visit, the chiropractor spent two comprehensive hours taking a full history, examination and provided treatment that had nothing to do with medications. Walking out of the office after her appointment with 75% pain relief and tears of joy, she knew she discovered something she wanted to be a part of! She spent the next few weeks researching incessantly on the field of chiropractic and ultimately changing her academic major to kinesiology, the study of movement through anatomy and physiology. 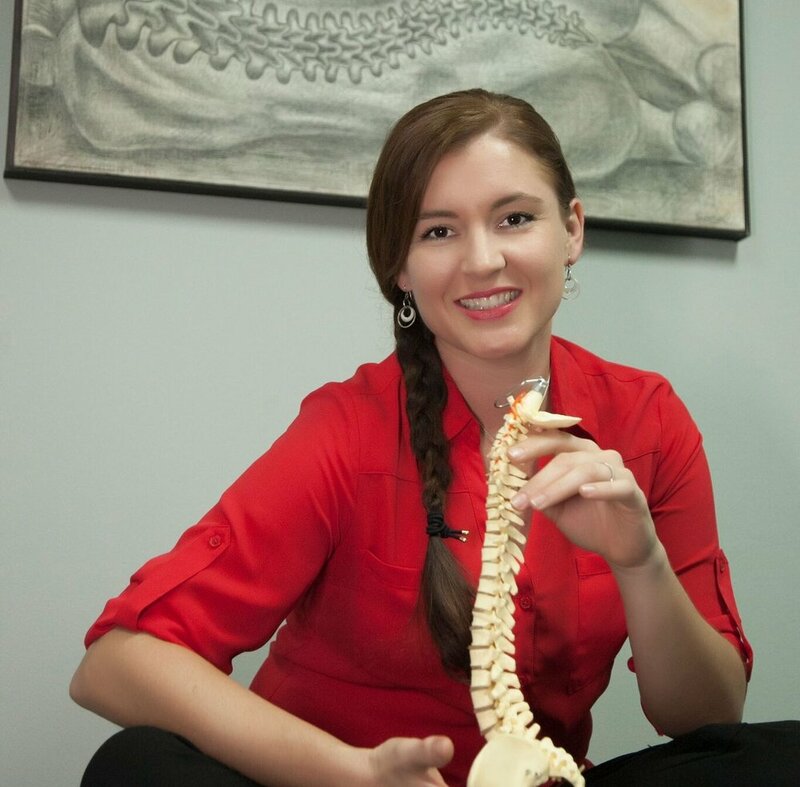 Beginning her graduate studies at Logan College of Chiropractic in 2003, she conquered the core program as well as specializing in pediatric care, family wellness and soft tissues techniques. "I am grateful to have been guided to the career that chose me, my goal is to have chiropractic care be part of everyone's life at every age! I am is passionate about creating and integrating a wellness lifestyle into my community through compassion, education and dedication!" 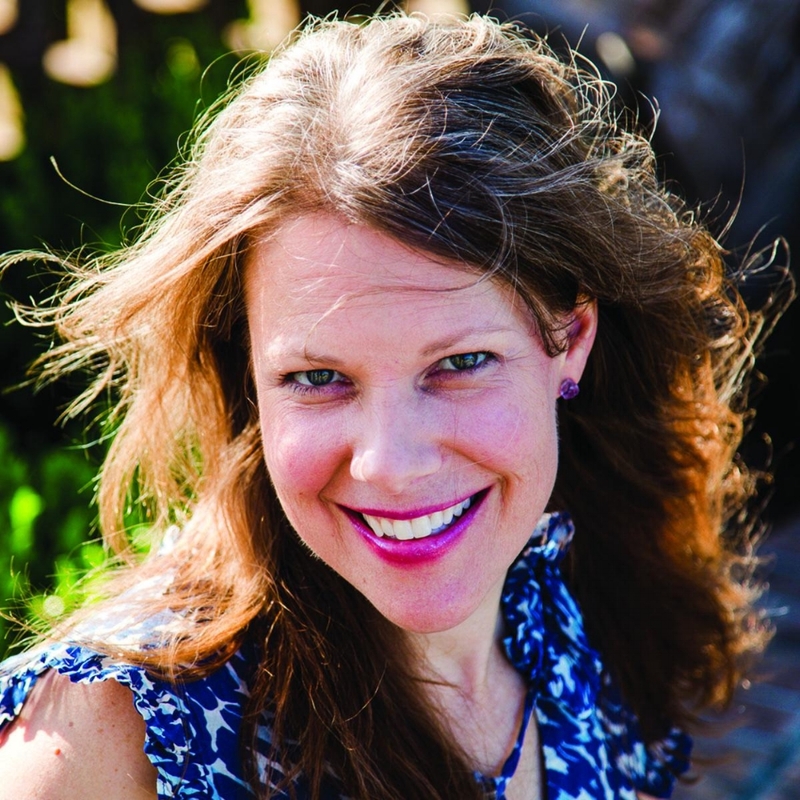 Kara is an energy healer and teacher, wellness advocate and certified athletic trainer who combines her vast skill sets to ignite holistic transformation and self-realization in individuals ready to uncover and embrace the best version of themselves. Due to her love of sports and desire to help athletes recover from injury, Kara's first career oath was a certified athletic trainer. However, working closely with several chiropractors, her interest in holistic healthcare and wellness evolved. This led her to study the benefits of essential oils, nutrition, and energy work and to become a Reiki Master/Teacher. She is also a NASM certified personal trainer and wellness coach. Although Kara still enjoys taking people through corrective exercise programs, her main focus is giving Reiki sessions and teaching about energy healing. "Dreams are achieved by taking necessary actionable steps, being open to guidance and life’s divine flow, and living outside your comfort zone. Ready to release feelings and realize dreams? Reiki and energy work can help guide you through the next steps of your divine path."